Discussion in 'Show Off Arena' started by denno020, Dec 7, 2018. I've finally decided to create a post about my light display. My display is slightly different to most people here - I don't have any pixels, only "fairy" LED strings/icicles and other single LED products. However, what I feel is unique about my display, is that I've created (as of writing this, creating) an interface that will allow anyone to control the patterns on the lights themselves! I'm still working out details of exactly how people are going to control the lights, but the main idea is that they will be able to create their own animations/patterns, using the elements that I have in my yard/on my house, and then upload them to the controller, and have the house play them back. Custom animations would be created using an online sequencer that I'll create specifically for my display. I would also like people to be able to play with the lights in real time, which is something I'm still figuring out. I've been reluctant to make this post before having the control interface completed, but I figure if I keep telling people that it's going to happen, that will help to keep me accountable and actually get it done! This is the frontage that I have to work with. It's not huge, but I make it work. I've got 4 sets each of multi, cool white and warm white following the roof line of the house. To the side of the house (on the fence), there are 2 sets each of white icicles and blue icicles. Also to the side and to the front of the house, are 4 LED blossom trees. All of these elements are connected to the controller. 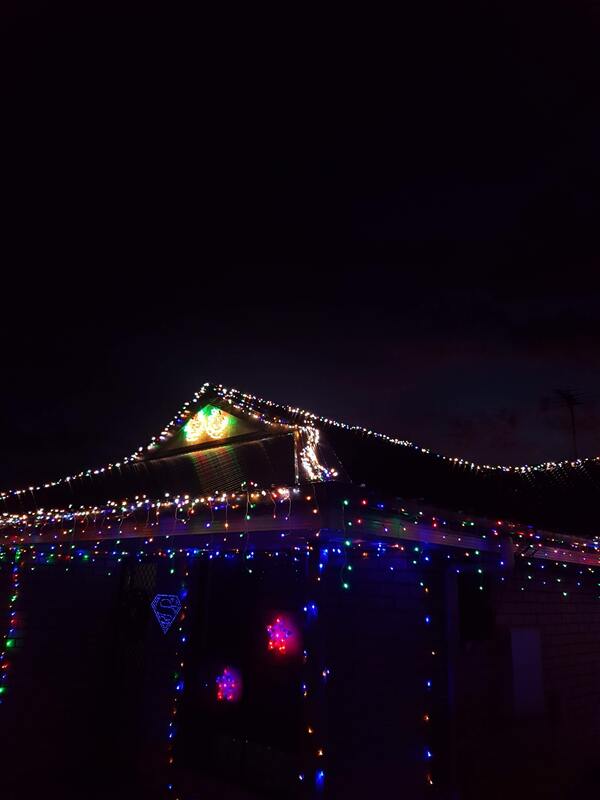 The other lights, like the multi colour icicles that run around the gutters, the multi colour string that does the outline of the house, the bells on the roof (off at the time of photo) and the tomato planter Christmas tree to the side of the driveway, all run off their own power supplies, and aren't controlled. The main reason for this is because they run at a different voltage, and I only have one controller, so had to be choosy with what was connected. I'm not sure what else to say, so I'll leave it there and hopefully explain more when answering questions/feedback! Giles1 and NTKing(Brad) like this. Sounds like an interesting project Luke. I've managed to hit what I consider a pretty big milestone today! My Raspberry Pi is now in control of the lights, looping through my pre-made animations! The next step, allowing anyone to create their own animations/sequences, and apply them in real time! I've just noticed that everyone of those sentences end with an exclamation point.. I am a little bit excited. Anyway, with regard to allowing people to create their own animation/sequences, today I also figured out what I think will be the best way to achieve that. I'm going to use Firebase as a bit of a middle-man. Firebase is fantastic for real time updates between clients - my Raspberry Pi will be one client, and the person controlling the lights will be the other. I have tested this and there is a slight delay of ~1 second, which I think is perfectly acceptable. 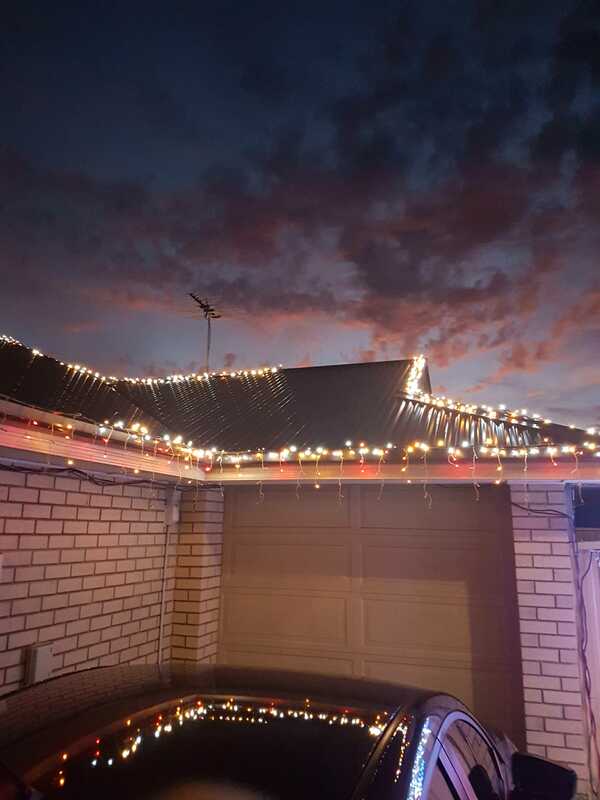 I'm thinking I'll head to Bunnings and get some PVC that I can cable tie between the tie down points on the roof,and then attach the lights to those, that'll keep em straight! Update: I now have a proof of concept for making the lights interactive. I'm so excited by this. I had a lot of fun changing the lights, so I can only hope that kids will have just as much, if not more fun! I've finally announced on Facebook/Instagram that the lights are ready to be controlled. The final state of my Christmas light display for 2018, featuring a first of its kind way of getting interactive with the lights. Is this easily adaptable for other displays? I'm not really sure to be honest. The controller I have accepts DMX, so I found a Node JS package that allows me to output DMX from a Raspberry Pi. I guess it depends on the communication protocols that are required, and then finding an appropriate library that will handle the grunt work. That's really cool... how does the app communicate back into your network? Exposing some REST endpoints through your firewall or something? I'm using Firebase for all communications! The vuejs application that people will run on their phones makes calls to Firebase Cloud Functions, which then updates the DB. The Raspberry Pi is listening for changes to the DB, and when it is notified of such a change, then it will send that update to the controller. I'm not sure it's the best way to go about it, having a DB in there, but the time between pressing a button on the dashboard, and the lights actually updating takes around half a second, if that, so I'm very happy with the response time. And it also means I don't have to worry about any sort of security, as people are completely separate from my home network. Ahh that's the reference to Firebase further up. Wasn't sure where exactly that fitted in. I was thinking of using AWS Lambda but have not got around to putting any of those ideas into motion yet.